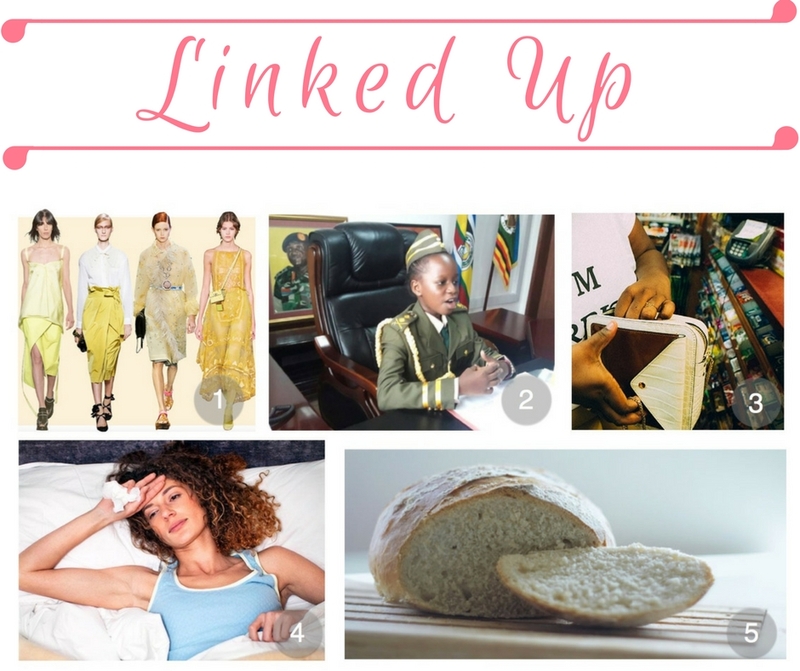 Here is the weekly roundup of links that have caught my eye. Have a read. My personal favorite was number 2! 1. Here are some of the fashion trends for next spring that you can start wearing now! 2. This link was super inspiring seeing young girls take leadership roles around the globe. We need more programs that teach little girls that they can do ANYTHING, and that includes running the world. 3. Have you heard that our generation is much poorer than people who are just 10 years older than us? 4. It’s cold season. Get familiar with the lifecycle so you can know when it’s time for some bed rest. 5. Some great tips on losing belly fat. I need to try step 1, 6 and 9!